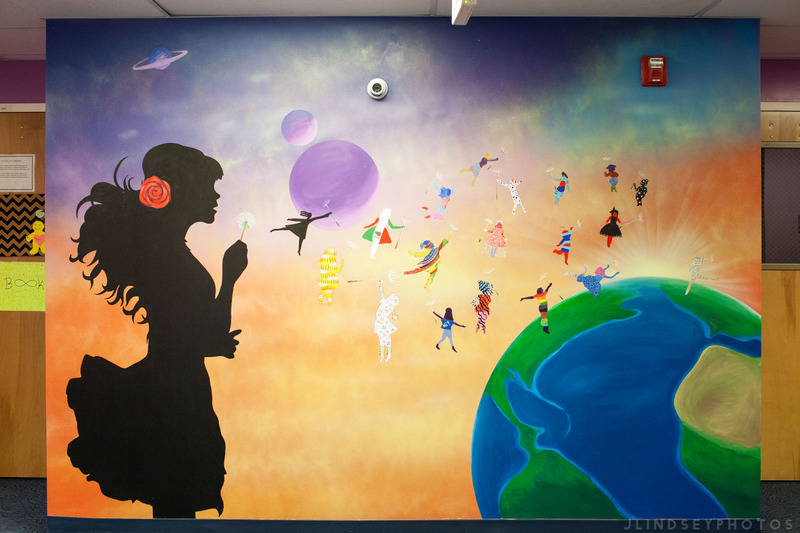 This month, the girls in AFG’s After-School Program completed a new mural inside of AFG’s building with the help of local artists, Julianne Lindsey and Elton Monroy Duran. 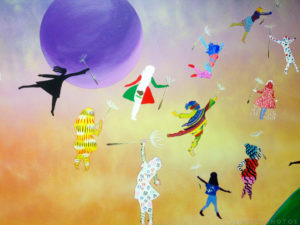 The mural was made possible by the Michigan Council for Arts and Cultural Affairs, Corpus Art Inc., Culture Source, and the NEA. Over the course of a few months, Julianne and Elton worked with the girls to come up with an idea for the mural. During the process, the group visited other nearby murals, like the one at E&L Supermercado in southwest Detroit, to gather inspiration. “We came up with the idea as a group, and we wanted to include the different cultures of girls all over the world,” shared Ahtziri, one of the young women who worked on the project. The mural is meant to represent the soul of AFG. The mural shows that at AFG, girls and young women learn and grow, and AFG helps to support them as they continue their journey in the world, sharing their dreams, culture, and experiences everywhere they go. Just as a dandelion spreads its seeds in the wind. Alternatives For Girls would like to thank Julianne Lindsey, Elton Monroy Duran, Michigan Council for Arts and Cultural Affairs, Corpus Art Inc., Culture Source, and the NEA for this wonderful opportunity!